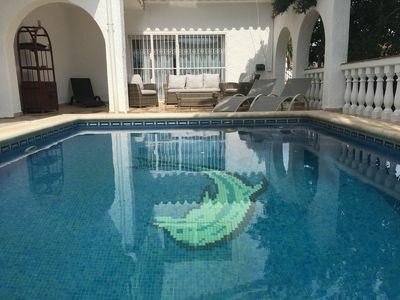 With a stunning mountain view backdrop and a fabulous poolside setting for company, this timeless 2 bed holiday bungalow offers a lovely family-friendly resort location, as well as close proximity to Deniaâ€™s beaches and amenities (just a 10-15 stroll away)! Featuring shutters and exposed beams, the detached air-conditioned retreat oozes authentic Spanish style. Its layout is set for year-round home comfort too; with a spacious open plan living and dining area leading through to an adjoining separate kitchen with service hatch. The open plan room also leads outside to a private alfresco terrace. The spacious master double and twin joinable bedrooms are accompanied by a modern shower room and private laundry facilities. With private parking and communal use of the exotic landscaped grounds and natural form swimming pool, the outside is equally appealing! The tranquil mountain views provide the perfect complement to this modern luxury residence. 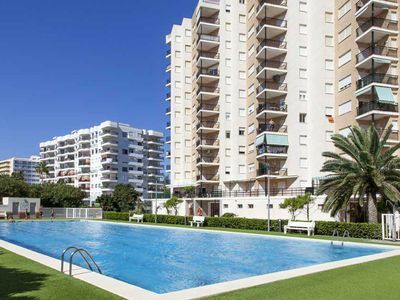 Families are placed just a 9 minutesâ€™ walk away from central Denia; where a wealth of restaurants and amenities are to hand. 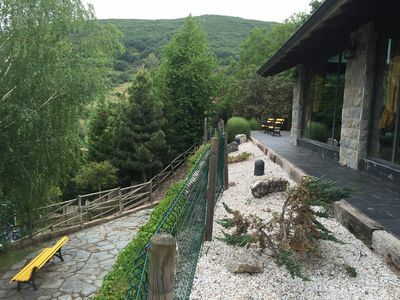 The beautiful beaches are also just a 15 minutesâ€™ stroll away too, whilst the cycling and walking routes of the beautiful Montgo National Park are all at your beck and call. 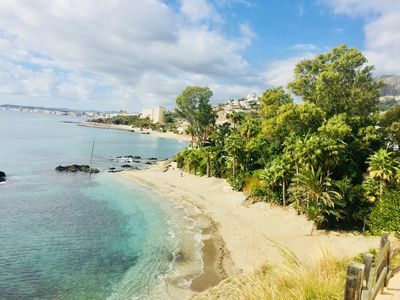 Brimming with things to do, the local Costa Blanca area and Alicante region offers something for everyone â€“ with nature trails, fine dining, wine tasting, all the must-have water sports, classic beach days, scenic boat trips and cultural sightseeing trips on the doorstep! 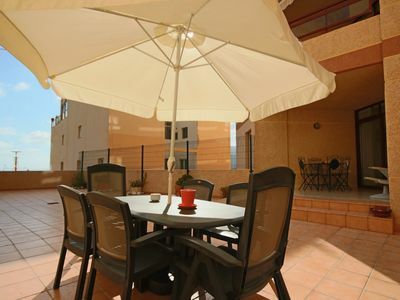 Situated under 75 minutesâ€™ drive away from Alicante International Airport, this family-friendly holiday retreat provides an accessible, as well as memorable location for year-round holidays. The 2 bedrooms offer flexible sleeping arrangements to suit families and groups of 4. A modern fitted shower room with washbasin and WC completes the internal layout. The single-storey bungalow is equipped with air-conditioning and features 3 steps outside. Private laundry facilities and 2 sun loungers also come with this practical family home. Oozing that luxury holiday lifestyle, guests can while away their stay here sunbathing with a good book, dining â€˜alfrescoâ€™ with a BBQ on their own terrace or take the plunge and soak up an afternoon in the fabulous communal swimming pool. 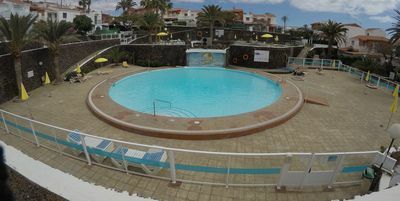 Natural in shape and generous in size, the sunny outdoor pool offers the perfect escapism and holiday amusement, for guests of all ages! 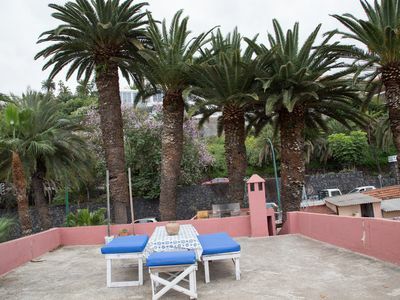 With the exotic palm tree-lined grounds offering a magical mountain view vista too, the lovely intimate feeling resort offers a close-knit community feel that is ideal for accommodating family stays. The resort provides a private parking space. 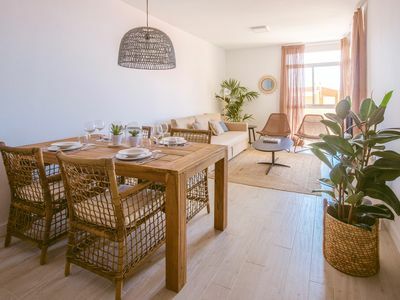 The modern yet timeless resort is conveniently placed for reaching the authentic restaurants, bars, cultural attractions and beachside pursuits of Denia (just a short 10-15 minutesâ€™ stroll away). From sea view dining opportunities and beach days that include windsurfing, kitesurfing, kayaking, surfing, boat rental, scuba and snorkelling activities, to visiting the craft shops and antique stalls of Gata de Gorgos, enjoying the lovely coastal walks of Xabia (17-26 minutesâ€™ away), hiking and cycling in the Montgo Nature Park and taking in the charming skyline of Altea (43 minutesâ€™ drive away), the Costa Blanca region offers country and coastal delights to suit all. 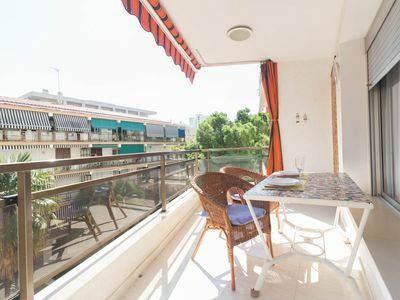 Conveniently placed for reaching the year-round amusements of Benidorm (46 minutesâ€™ drive away) and the colourful beachside appeal of Villajoyosa (54 minutesâ€™ drive away), the scene is truly set for enjoying a full-on Spanish getaway! Easily accessible, Deniaâ€™s main ferry port offers carefree links to the island of Formentera during the summer season and daily crossings to Ibiza and Palma de Mallorca, whilst Alicante International airport is under 75 minutesâ€™ drive away.